This is part of 23 Things, Part 3. 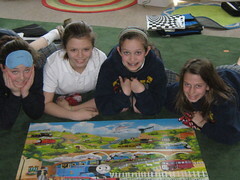 I love this picture from an old 6th grade class. These gals always made me laugh and showed how hard work can get you anything!